ICMM, Secretary of the Editorial Board. 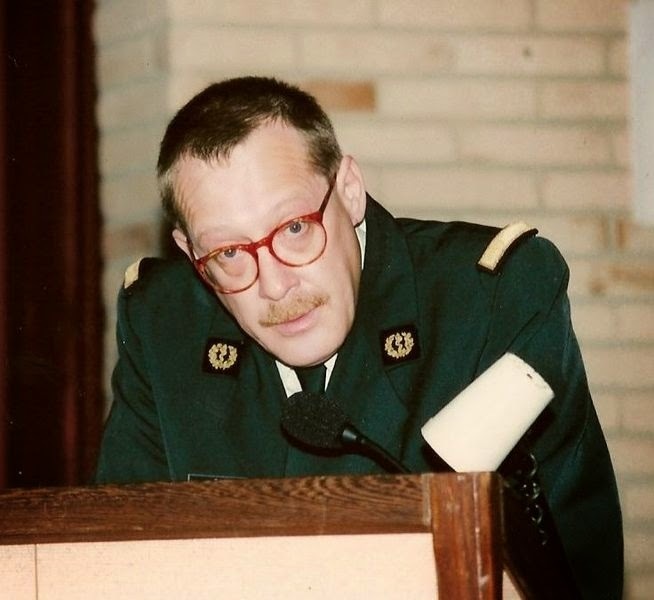 Johan Bancken (1963) joined the Ministry of Defence in 1984 and was stationed in Xanten and Werl as a member of the Belgian Forces in Germany. In 1993 he was assigned as a secretary of the Centre for Crisis Psychology (CCP) in the Queen Astrid Military Hospital (QAMH) in Brussels. He graduated in 2001 as an Assistant in psychology and worked as a coordinator of critical incidents in the CCP. 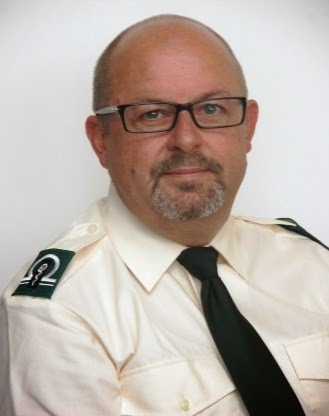 Since 1996 he is also a lecturer at the Competention Centre of the Medical Component (CC MED) in the field of stressmanagement and trauma. In february 2010 he was promoted to OR-9 and as such transferred to his current position as an Assistant education manager of the Department Education – Quality Cell of the CC MED. 2008-2009 : Operation BELUFIL 7. He is married to Wiebeke Seymortier and father of four children - Lorraine,Devon(U), Vince and Liv. The aim of this article is to explain the functioning of the Belgian military Module Battle Stress Recovery Unit (Mod BSRU), a psychological support module, during deployment in the UNIFIL-BELUFIL mission. The quantitative material14 was collected during the presence of the Mod BSRU as a part of the Belgian Medical Treatment Facility Role 2 Enhanced in Tibnin (Lebanon). The team Mod BSRU collected data (concerning the core businesses and the tasks) from the field journal, case-studies, incidents and mission reports. This material and the Lessons Learned cover the period Oktober 2006 – March 2009. The 7 steps Psychological Support Plan18 (PSP) that gives guidelines for providing psychological support after a critical incident is explained. In 1978, the United Nations Interim Forces in Lebanon (UNIFIL) were founded by the Security Council of the United Nations . This in order to (1) confirm Israel’s withdrawal from Lebanon, to (2) restore international peace and security and to (3) assist the Lebanese Government in restoring its effective authority in the area 6,7,8. Following the July/August 2006 conflict, between Israel and Hezbollah, in southern Lebanon, the Council increased its troop strengths from 2000 troops in August 2006 to 12000 at the end of January 2007, consisting of contingents of 28 nations. The maximum number of UNIFIL peacekeepers has been noted at 15000. With the United Nations mandate ‘resolution 1701’ of August 2006, UNIFIL received the mission to assist the Lebanese Armed Forces in the establishment, in the southern Lebanon, of an area free of any armed personnel other than those of the Government of Lebanon and of UNIFIL. On the 25th August 2006, the Belgian government 1,2 proposed the UN its own participation. This participation had to give an answer to the needs of the UN, and moreover, was to be a useful part in the reconstruction of Lebanon. The Belgian government proposed a participation in the demining field, the reconstruction and the medical services. The mission of ‘the Belgian Luxemburg Forces in Lebanon (BELUFIL)’ was born. The standards of medical care in crisis have to be as close as possible to prevailing peacetime medical standards. This means Primary Surgery (PS) within one hour, or when not feasible Advanced Trauma Life Support (ATLS) within one hour, Damage Control Surgery (DCS) within two hours, Primary surgery (PS) within four hours (Golden hour-principle). 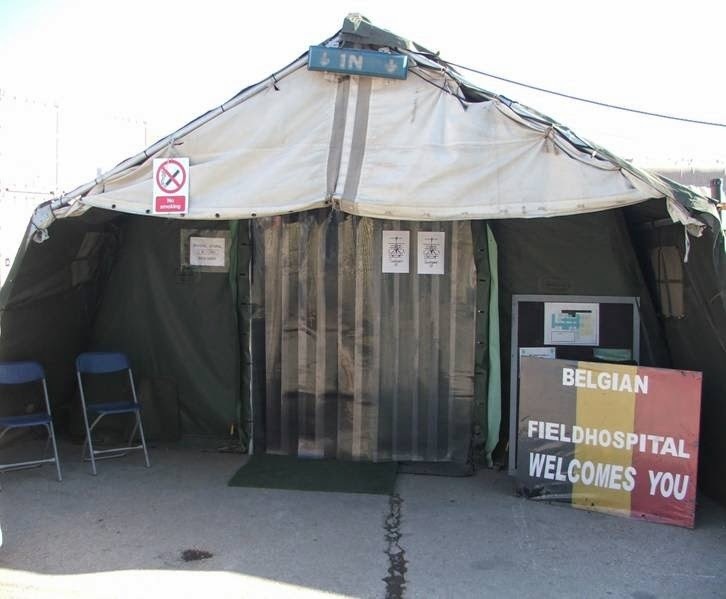 The medical part of the Belgian participation consists of a primary health care facility Role 1 (Advanced Trauma Life Support (ATLS) and Evacuation) and on the other hand a Role 2 medical support entity (Field Hospital - Role 2 Enhanced) . 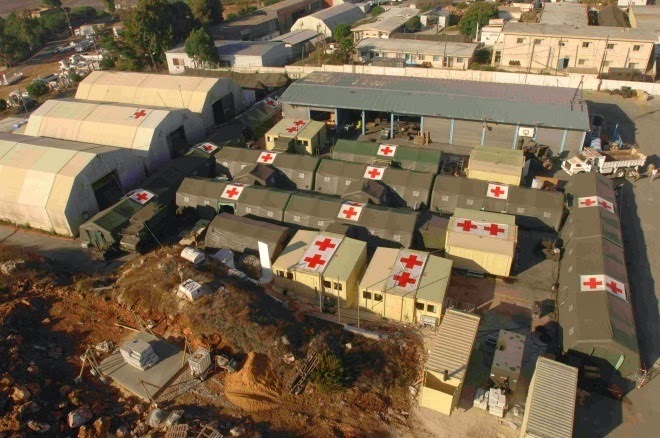 It is a Modular built up hospital providing an intermediate capability for the reception and triage of casualties, as well as being able to perform resuscitation and treatment of shock to a higher technical level than Role 1. It will routinely include Damage Control Surgery and may include a limited holding facility for the short term holding of casualties until they can be returned to duty or evacuated. The Role 2 Enhanced had additional capabilities such as preventive medicine, environmental health capability, dental care, operational stress management, psychiatry or psychology 13. The Mod BSRU5,9 is such an additional module. The Mod BSRU is a specialised psychological module of the Centre for Crisispsychology (CCP) from de Queen Astrid Military Hospital (QAMH) - a part of the Medical Component (MC) of the Belgian Ministry of Defence (MOD) - located in Brussels (Belgium). According to UN instructions, this Role 2 Enhanced hospital is to support a UN population in the South of Lebanon of approximately 5000 personnel (total population at risk). This medical facility had the capacity to perform 3-4 surgical operations a day with anesthesia, emergency resuscitation procedures and to stabilise the health state of the patient, thus enabling evacuation to the next level of medical care. The ‘missions’ are the core business of the Mod BSRU. The MOD invested in professional and specific trainings for the Mod BSRU-personnel, the provision of the needed materials and of the appropriate infrastructure. Examples of potential critical incidents are: armed conflict, terrorism, air accidents, heavy road accidents, technological accidents, industrial accidents, natural and man-made disasters,… During missions abroad, the military personnel may also suffer extreme violence. Such incidents are unexpected, provoke feelings of helplessness and impair the feelings of safety and control. They can incite long-term psychological and social impairment. Victims may need support in psychologically working through the incident and the emotional upheaval this caused. In the described period 16 critical incidents were registered (demining incidents, general work accidents, road accidents with deaths, a shooting incident with lethal consequences, burninjuries of a local child, smokebomb incident, amputation,…). Some UNIFIL troops may be confronted with difficulties of a psychological/psychiatric, social or family nature. These difficulties may reduce their operational functioning. A repatriation can in that case be an appropriate measure. Advice is provided in order to decide whether repatriation is appropriate and whether there should be opted for a temporary or permanent repatriation. The Mod BSRU has a surplus value in the domain of the assessment of the person and his/her situation. Support and advice in this matter is given to the Senior Medical Officer. A BELUFIL-specific procedure for repatriation, with decision tree, was written during the missions. For 62 repatriations the advice of the Mod BSRU was requested. The aftermath of a critical incident, a funeral, hospitalisation of a family-member, a sick child, death of a meaningful person (in operation or at home), personal problems, rotation policies, alcoholabuse, relationship difficulties, medical evacuation, psychiatric decompensations, general anxiety disorder,… were possible reasons to be repatriated. Psychological difficulties may occur within some individuals during the course of the deployment (depressive symptoms, anxiety, symptoms of personality disorder, …). The operationality of these individuals can sometimes be maintained during the period of deployment when psychological counseling is provided. During the described period, a total of 592 individal counseling sessions was registered. The content of these sessions usually was about work-related problems, the follow-up of crisisinterventions and difficulties linked to the homefront. The Mod BSRU has the role of external and internal liaison: The Mod BSRU cooperated in Lebanon with its other psychosocial partners in the MOD. The representative of the Mod BSRU is a member, and supervisor, of the Psychosocial Team10,11,12. The Psychosocial Team in the BELUFIL mission consisted of representative(s) of (1) the Service Mental Readiness Advisors in Operation (a Land Component Psychologist), (2) the Social Services and (3) the Service of Religious and Moral Support (a Padre and/or a Moral Advisor). This Psychosocial Team is at the service of the BELUFIL commander. 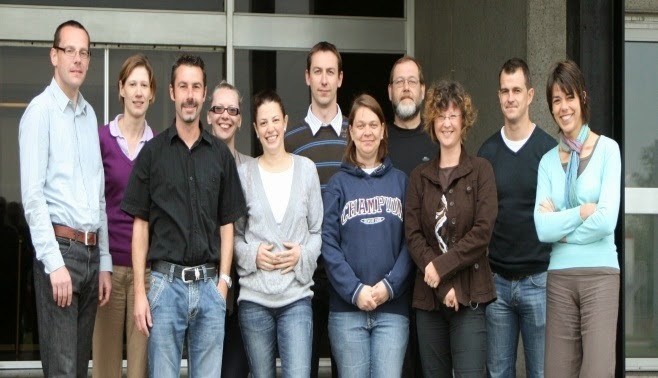 The Psychosocial Team of BELUFIL cooperates with the Psychosocial Services in Belgium. Cooperation with collegues in Belgium is important because psychological support may also be needed for the families of the involved servicemen or their co-workers at the unit in Belgium. There is communication with the physicians and other personnel of the Medical Component (MC) stationed at the compound. The Mod BSRU may provide them with advice on psychiatric comorbidity, help them with announcing bad news, reacting to psychological decompensation,…. As military personnel, the members of the Mod BSRU also took part in daily life and activities at the compound. This in order to lower the threshold for asking support. ‘Tasks’ are activities carried out on a non- permanent base and only in function of the exceptional situation/incident or available resources. Interpersonal conflicts may arise during deployment. These may put the group cohesion and/or the quality of the execution of the assignment at risk. Mediation can diminish this risk. The BSRU – team actively takes part in the functioning of the Field Hospital and the Medical Installation. This pro-active but non-intrusive approach will enable the Mod BSRU to detect possible interpersonal or professional conflicts at an early stage. Early detection and individual or group counselling may prevent escalation. Active outreach is the preferred strategy of the Mod BSRU when it comes to (stress) prevention and early detection of possible emotional difficulties. The Mod BSRU will engage in actions which can contribute to the prevention of harmfull psychological processes. Workshops and presentations will be organised to enhance the coping-strategies of the participants in the domain of ‘operational stressmanagement’, ‘helping collegues after incidents’, ‘coping with intense emotions’. Other initiatives were outreachleaflets, writing and spreading articles. The Mod BSRU may provide humanitarian help to the local population ‘within means and capabilities’. The local population (war victims before 2006 included) is also a rightful claimant for psychological support after a critical incident and for individual counseling. There are no exact data about the amount of individual counseling sessions dedicated to locals. In the observed period a number of 16 critical incidents was recorded, 4 of these incidents concerned locals among the victims. The following military professions can be selected for a single representation or a team3,4: masters and bachelors in psychology (clinical psychologists and assistants in applied psychology ), psychiatric nurses and trained military ambulance personnel. The personnel of the Mod BSRU is required to be able to deliver psychological first aid to individuals and groups and should be able to provide advice on issues such as how to help victims of critical incidents. During these three years of effort, almost every employee of the CCP was involved in the BELUFIL operation abroad and different formats were tried out: (1) Continuous presence of a team of 2 military professionals, (2) Continuous presence of 1 representative, (3) Rotation of personnel after 1 month,(4) Rotation of personnel after 2 months, (5) Rotations with and without overlap and a (6) Contactteam present for only a short period of time during long-term deployment. Counselling sessions took place in a calm and private atmosphere located in the centre of the compound (‘Camp Scorpion’ in Tibnin). These are actions that contribute to the prevention of a possible difficult psychological adaption proces. An obstruction in the adaptation process may lead to dysfunctions within an individual and within the group. The aim of this kind of support is also to enhance the natural adaptation process after a critical incident. In case of a critical incident, the provided psychological support (for groups or a team) is based on a 7 steps PSP. The Psychosocial Team coordinates, organises and guides these different steps for every critical incident in which military personnel of BELUFIL is involved. A critical incident that takes place during a mission will be followed-up (1) during and (2) after the period of deployment. There will also be a psychosocial home team that provides support for family members. So, the Psychosocial Team in operation engages itself to activate the simultaneously working psychosocial services in Belgium and needs to assure ongoing psychological support over time, even in Belgium, when needed. Since the disaster with the ferryboat ‘Herald of Free Enterprise’ (1987) there was a lot of thinking in Belgium about the possible set-up of psychosocial support for victims and caregivers after minor or major critical incidents. During the nineties a National Psychosocial Disasterplan (A project from the Ministry of Social Affaires, Ministry of Health and Environnement and the Ministry of Defence18) was written down. The National Psychosocial Disasterplan had 2 axes of interest: (1) the victim and his/her environment and (2) the policy and its anticipation-network. The result is a structural plan to be able to prevent residual lesions in victims of critical incidents and their families. This 7 steps PSP aims the recovery of the psychosocial balance from the victim and its immediate environment (in our case usually family and/or military community). It is applied to prevent residual lesions. Psychosocial support can reduce the number of victims that have long-term psychosocial consequences after a critical incident. The supportive actions that need to be taken by the Mod BSRU when a critical incident happens are written down in these 7 steps. The aim is to answer to the needs of the victims and their environment . Descripton of the event. The event is defined: What? How? Where? When? Identification of the target groups: Who/which groups is/are affected in which way by that particular incident? Estimation of the possible psychosocial consequences: Immediate-term, short-term, medium and long-term. Identification of the needs: By means of observation, listening and gathering information, an analysis is made of the needs of the different target groups. To become good results in this step, a proactive approach of the Psychosocial Team is recommended. Working out an intervention strategy: What actions/interventions (in function of needs and priorities) for which target groups? How? With which partners? Where? When? Evaluation of the availability of caregivers: Is the capacity of caregivers sufficient enough to meet the needs? It is possible that the psychosocial team will not be able to answer all the needs. This will be reported to the Commander. Evaluation of the activities and reevaluation of needs. Have the activities proven to be effective in preventing long-term impairment? Were they effective in the understanding and the management of the situation of distress? During these 7 steps the Pychosocial Team will take the initiative to inform the psychosocial actors of the homefront. The Psychosocial Team advises the hierarchy to take the necessary actions in order to inform the families of the victims. It is very important that the correct information about the facts and circumstances is communicated to the right people. In case of death, the psychosocial team takes action to communicate the bad news to the families. If the victims are wounded and their medical condition allows it, then it is preferred that they themselves inform their own family. Assistance can be provided by a member of the Psychosocial Team or by someone of the command. If the injuries make this impossible, then a member of the Psychosocial Team announces the bad news. The necessary communication canals are foreseen to transmit all related information to the in-theather BELUFIL personnel. They will assist the relatives of the victims and will provide,if necessary, long-term psychosocial support, even in Belgium after deployment. The Lessons Learned are joined, taking the 3 stages of a military mission into account: ((1) before, (2) during and (3) after the mission). The Mod BSRU should take part in all preparatory military exercises. This can be very useful to get into contact with the participants of the mission and to start building up a relationship.This should lower the threshold to ask for help and support during the mission. All members of the Psychosocial Team (home & away team) should meet each other pre-deployment, so that the network can be efficiently used during the mission and that they can work together in the most smoothful way possible. Because of the uncertain character of the political situation during a mission and because of the unexpected character of critical incidents it is important that the Mod BSRU and its personnel should always be ready and prepared to leave on a mission. A permanent presence was beter than a temporary contactteam. The temporary contactteams faced integration problems, which raised the threshold for asking support instead of lowering it. A rotation of personnel every two months was the best formulae for the Mod BSRU in the BELUFIL-operations. In this format a certain continuity and thus a lower threshold for asking psychological support was guaranteed. This formulae also had the least consequences for the home team. An overlap in rotation was necessary to guarantee a good follow-up of the activities. Psycho-education, and other activities related to this, facilitated the accessibility to the Mod BSRU. Organising trainings for key personnel also had this same positive effect. The way the Mod BSRU works is complementary to and in cooperaton with the other members of the Psychosocial Team. It is necessary to explicit the mandate of the Mod BSRU and that of its partners to all the deployed personnel. Location and accessibility proved to be important. Counselling sessions should take place in a private atmosphere. 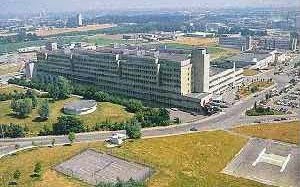 The best place for the Mod BSRU to be located was between the hospital and the private accomodations. Good cooperation with the physicians of Role 1 and 2 is important for good references and lowers the threshold. The Mod BSRU had an international character. Other nationalities made also use of these services. Taking into account this international character, cooperation with translators is sometimes necessary to achieve good results. The representative of the Mod BSRU is counsellor and military at the same time. Being a military and taking part in the daily activities lowers the threshold. Information and reports of the work done during the operation must be passed through to the home team so a correct follow-up can be organised. A good screening of participants before departure should remain a point of attention. In this way psychiatric and/or psychological problems surfacing during the mission can be reduced to a minimum. The Centre for Medical Expertise (CME)-New in the QAMH is an excellent answer for such a screening for all military personnel before going on a mission. A Specific Procedure (SPS) after critical incidents was written down. This allows that all information of critical incidents is passed on to the Operational Centre of Defence (COps). COps activates all relevant psychosocial actors, taking the needs of the specific situation into account. All Belgian military psychologists followed a course ‘Crisispsychology’. This course is given by the personnel at the CCP. Taking part in the course ‘Disastermanagement and Disastermedicine’ at the University of Leuven and Brussels is a good preparation for the CCP-personnel in the reception of ‘after Mass Casualties’. Competencies and expertise in the field of critical incidents and trauma needs to be maintained by permanent in-service training (f.e. participating at the Conference European Society for Traumatic Stress Studies – ESTSS, a counselor training, training in mediation, training in announcing bad news,…). Training the personnel of Mod BSRU in the English language is wishful because of the international character of the Mod BSRU. Taking part in military exercises is also necessary for the personnel Mod BSRU to be able to keep up with the needed military skills. The cooperation between the existing national and regional platforms and the other psychosocial partners in the MOD should be maximised. It is important to mention again and emphasise that the Mod BSRU-personnel works with a thorough knowledge of ‘psychotraumatology – victimology – crisispsychology’. The 7 steps PSP was well researched before implementing it. Also the quantitative material that was collected was never registered in a standard manner. In future, there could be worked with evaluation forms to be filled in after every session or after every initiative. This may shed more light on strengths and weaknesses and the exact ways in which the Mod BSRU contributes to the psychological wellbeing of military personnel during and after deployment. In future missions it would also be useful if there is a standardisation in the way the activities of the Mod BSRU are registered. The critical incidents that happened during the missions were all supported by using the 7 steps PSP described above. In this we need to trust on the positive feedback that the personnel of the Mod BSRU regularly received from their ‘clients’ and co-workers. It could also be useful to research which elements of the steps are the most useful. The personnel of the Mod BSRU must be able to support the military personnel during deployment. The personnel of Mod BSRU of course is also deployed and is not free from the potential troubles and problems military personnel in deployment comes across with. It is very important that the personnel Mod BSRU also is supported. The other members of the Psychosocial Team may have a very important role in this. A strong and good functioning psychosocial network is thus not only important for the ‘clients’ but also for the caregivers themselves. I declare that for the described BELUFIL-missions (BELUFIL 1 to 8/1) during the activities of the Medical Treatment Facility Role 2, a permanent presence of a representative of the Module BSRU, for a period of 2 months, was a surplus value and an optimal format for the psychosocial care of the military personnel and their hierarchy. A good ‘hand-over and take-over’ of information (about several achievements and files) at the rotations was very important for the continuity of the psychosocial care. Based on the feedback given by victims, the 7 steps PSP proved to be an effective model. First I like to dedicate this article to Luc Quintyn16 (U). He was the founder and the formal Chief of the CCP (1990 until 1999) who passed away on the 22 october 2011. As a clinical psychologist - philosopher his commitment led to a structural and scientifically founded approach to the prevention of psychotrauma and the care for victims of traumatic experiences within the Ministry of Defence as well as in several civil organizations (national and international). Secondly I like to thank the personnel of the CCP, not only for supporting me with data for this article, but also for the intens collaboration during the past eighteen years (1993 – 2011). Thanks for the opportunity to be at your service ! In the third place it is the given occasion to make an end to that particular period in my career and to look forward in my new function as an Assistant education manager within the Competention Centre of the Medical Component. Military missions abroad intrinsically entail certain risks for the deployed personnel. Servicemen are sometimes involved in incidents that can cause severe physical injury, sometimes even with fatal consequences. During missions abroad the military personnel can sometimes undergo situations with extreme violence. These ordeals mostly provoke feelings of helplessness and are often unexpected and dreadful exposures to death or mutilation. These so-called “critical incidents” can incite long-term psychological and social impairment. The Centre for Crisis Psychology (CCP) of the Queen Astrid Military Hospital (QAMH) offers the necessary psychological support for the distressed servicemen in order to facilitate their mental recovery-proces. The ‘Battle Stress Recovery Unit (BSRU) ’ is the module of the CCP, deployable during military missions abroad (embedded in a Medical Treatment Facility (MTF) Role 2 or as a stand-alone module during Non-combattant Evacuation Operations (NEO). The missions (core business) of the module BSRU are (1) psychological support after critical incidents, (2) psychological evaluation in case of the repatriation of a servicemember for psychological/psychiatric reasons, (3) psychological support in case of psychological or emotional difficulties and (4) ensuring the liaison function between the different entities of the MTF. The tasks (activities on a not permanent base and in function of the available resources) of the module BSRU are (1) mediation in case of interpersonal or professional conflicts, (2) psycho-education and (3) humanitarian psychological interventions (‘within means and capabilities’). The composition of the BSRU depends on the deployement scenario (NEO, Peace Support Operations (PSO) or Peace Enforcement Operations (PEO). This personnel composition can entail a (clinical) psychologist, a psychiatric nurse, an assistant in psychology and ambulance-servicemen. The personnel of the module BSRU can deliver psychological first aid to individuals or groups and can give advice in coping with severe incidents. The module BSRU will inform actively, cooperate and coordinate the follow-up of these incidents with other members of the Psychosocial Team present in de battlegroup and will simultaneously inform the psychosocial services on the homefront in Belgium. The 7-Steps Psychological Support Plan is used to do this in a correct manner. During the three years of effort (September 2006 until March 2009), the Module BSRU was involved in several crisisinterventions (demining incidents with (serious) physical injuries and even with lethal consequences, shooting incidents, road accidents with mass casualties,…). Individual psychological counselling was done with several UNIFIL servicemen, with personnel of the Lebanese Armed Forces personnel and even with members of the local community. 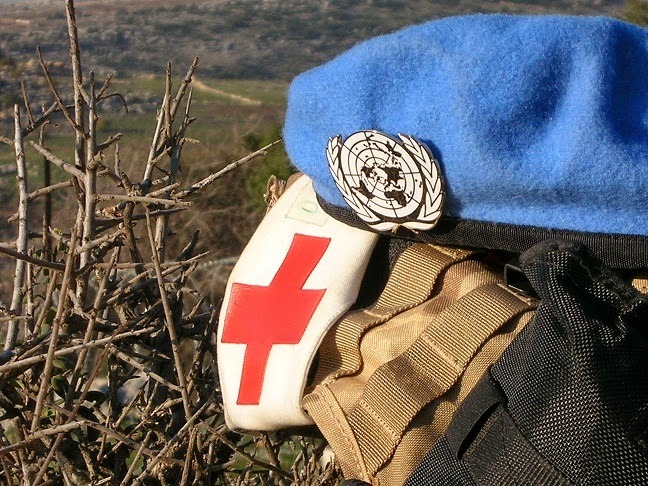 Almost every member of the Centre for Crisis Psychology was involved in this UNIFIL mission. It was a mission in which we had the opportunity to try out different forms of psychosocial support. The continuous presence of the module BSRU with a rotation every two months was evaluated as the most appropriate deployment format.